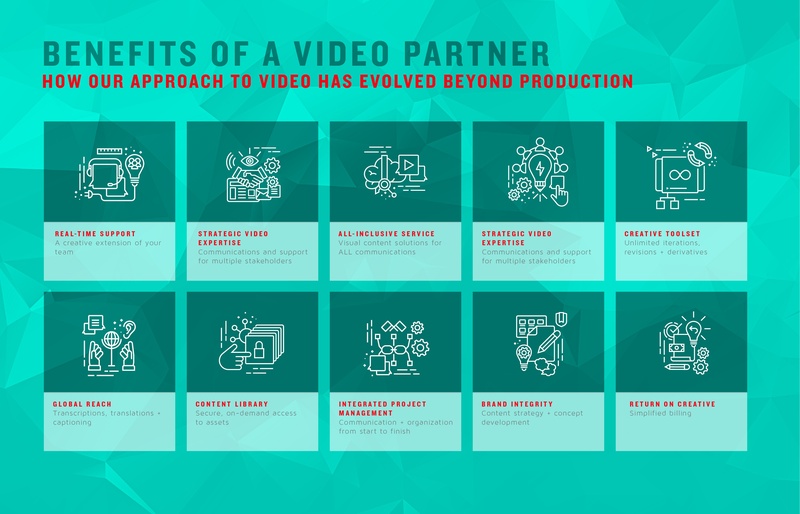 How our approach to video has evolved beyond production. The benefits of having a video partner, versus working with an agency for production projects, are endless. But we've changed the game up even further. Think unlimited editorial, on-demand access to a securely hosted content library, real-time edits and revisions, and a creative extension of your existing marketing team to constantly fuel all communications with powerful video and visual content, enter Pop Video - the video solution for businesses. We've simplified the rules of video production so everyone can harness the power of video for their businesses. We have systematically created a creative workflow to allow for on-demand, unlimited revisions and iterations of your content. Essentially, as your video partner, we can take one piece of video content, and create unlimited editorial through our understanding of your business, and a smart creative team to churn out video and visual content to fuel all internal and external communications. We are the business-first solution, in today's video first world. To learn more about why Pop Video is THE choice for a video and visual content partner, check out our Why Pop page. And to see the full infographic, click here!